care facility that dramatically revitalizes clinical space on the Harkness Eye Institute’s first floor. The new space combines an attractive, modern, and patient-friendly environment with today’s most sophisticated technology, to accommodate physicians, staff, and patients of Columbia phthalmology Consultants, Inc., Columbia University’s Ophthalmology faculty practice. 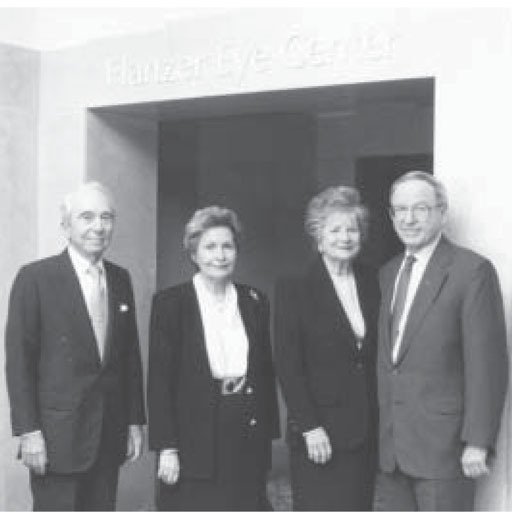 Visitors to the new Flanzer Eye Center will enter through a light, airy lobby with gleaming marble floors and walls at the Eye Institute’s 165th Street entrance. At the heart of the Center, is a large central reception area, surrounded by 13 examining rooms and separate treatment suites for imaging and other diagnostic exams, and for laser treatment. programs going forward in all three areas. responded by enriching the Department’s educational program to challenge their eager minds. We are indebted to loyal and devoted friends for a great deal of our success in making the Eye Institute one of the nation’s finest eye care, research, and education institutions. It is a delight to know that the Department of Ophthalmology’s family of dedicated patients, alumni, and concerned individuals continues to grow, and we are extremely grateful for the many gifts received to support our efforts in making the gift of sight available to all. My wife, Jean, and I wish all of you a happy holiday season and continued good health in the coming year. chairman, and Dr. David Maurice, professor of Ocular Physiology. 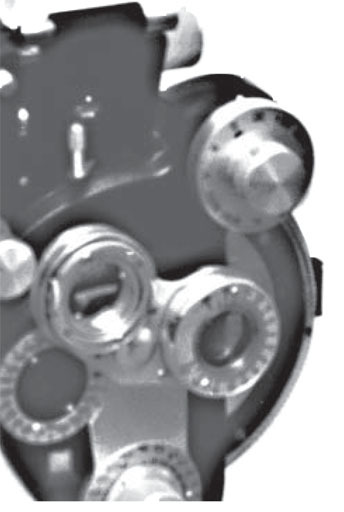 Professor of Anatomy (in Ophthalmology), Dr. Smelser was Director of Research in Ophthalmology at Columbia from 1956 until 1973. The Department of Ophthalmology will present the next Smelser lectureship at a date to be announced. with the difficulties of vision loss. Dr. Hart, a graduate of the New York College of Optometry, is an associate research scientist and assistant professor in Columbia’s Department of Ophthalmology. The director of a low vision clinic at Harlem Hospital for the past ten years, he has frequently appeared on television and radio programs to talk about eye care. Dr. Amilia Schrier is the newest member of the Department of Ophthalmology’s growing faculty. 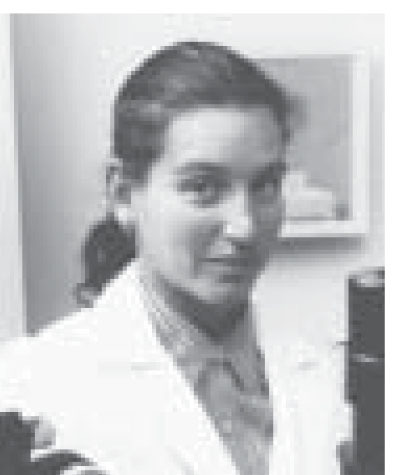 A graduate with “high distinction”of the University of Virginia, Dr. Schrier received her M.D. 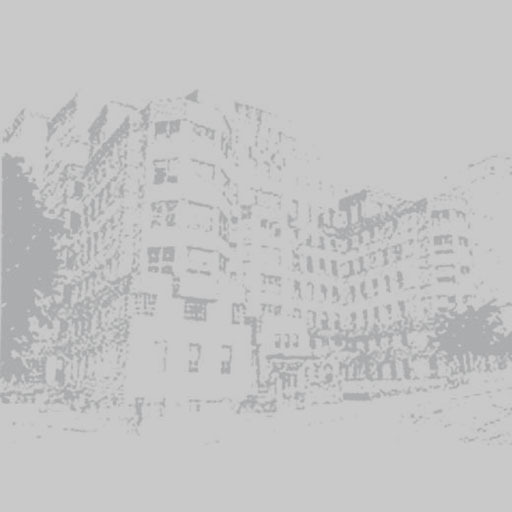 cornea and external disease at North Shore University Hospital-Cornell Medical College. of the Year” in 1995 and again in 1997 and 1998, accomplishments she describes as “highlights” of her career. Specializing in the treatment of corneal and external disease, cataract and anterior segment surgery, and trauma-related reconstruction, she has also published and lectured extensively on the treatment of infectious corneal disease. Harold Spalter, M.D., announced his retirement from clinical practice on October 1, 1998. He plans to continue his work with Research to Prevent Blindness, Inc., as well as to train residents and help to conduct clinical research. George Florakis, M.D., Michael Kazim, M.D., and Hermann Schubert, M.D., recently volunteered their services on a medical mission to Morocco. Accompanying them were senior resident, Alexandra Elliot, M.D., and Eye Institute operating room senior staff nurse, Emily Bonduc, R.N. Schering-Plough Corporation and Mr. Joseph C. Connors have generously supported the acquisition of a new fluorescence microscope for scientific investigations by Department of Ophthalmology research faculty.